Sitting under the shade of a sprawling tree with sunlight spilling through the branches, a young Jesus listens as his mother tells the story of the miraculous events that led to his birth. 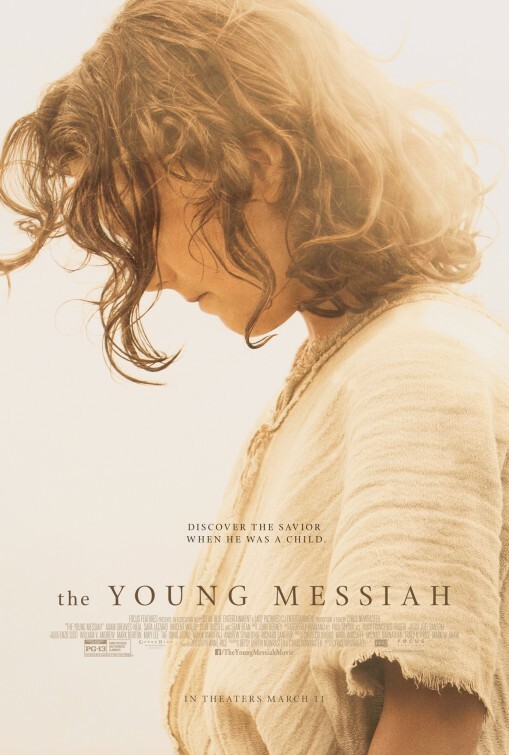 Mary’s tender heart beautifully flows through the screen—her love for the Young Messiah with his innocence and endearing presence, completes a very intimate scene. This is but one of the captivating moments in this skillfully crafted film, presenting what life might have looked like for Jesus when he was only a boy. In a time of harsh oppression of the Jews, the greatest threat to the ruler of the Roman world was a boy named Jesus. He was no ordinary boy—he was the Messiah. Christian, writer and director, Cyrus Nowrasteh, has brought to film a story that we know little about from the Bible, yet is intriguing in its exploration. Adapted from Anne Rice’s novel Christ the Lord, this film takes a fictional look at the seventh year of Jesus’ life and gives us a glimpse into what life for the Son of God as a child might have looked like. It may sound like a great feat to present a story of which little is known. Following Jesus’ birth, there is somewhat of a gap in the scriptures of his life up until the age of twelve when Jesus visits the temple. We do however, know that ‘the child grew and became strong; he was filled with wisdom, and the grace of God was on him” (Luke chapter 2 verse 40). Having taken great lengths to find the right actor to play young Jesus, Adam Greaves-Neal (who comes from a Christian family) was chosen for the role out of 2000 young boys who auditioned. Neal carries a lovely nature and portrays young Jesus in a refreshingly consistent way with the Jesus we know in the Bible: full of grace, love, wisdom and compassion. The film follows the family travelling from Alexandria to Nazareth with Pharaoh hot on their trail. Young Jesus seems to innately know God the Father and has a special relationship with him. He knows things and can do things that other children can’t do, but at the same time is searching for answers as to how and why events have led to where he is. As Mary and Joseph try to protect Jesus from those who want to hurt him, they also gradually see the need for Jesus to understand his past and his purpose, and carefully parent him into a fuller knowledge of who he is. Mary (Sara Lazzaro) has a beautiful bond with her boy and the emotions and great responsibility shared by her and Joseph in looking after the Son of God, are effectively portrayed in this inner glimpse of the Holy family. Rory Keenan plays the part of the devil who lurks in the shadows and manipulates others to do his bidding. He detects that Jesus is the Messiah and attempts to destroy him. Since Jesus’ birth, the devil has been trying to kill him (Pharoah’s slaying of the infant boys) and he continues in this endeavour throughout Jesus’ life. Through all this, we see Jesus grow in knowledge and understanding of the devil’s schemes which is eventually displayed in Jesus’ authority over this evil being. Filmed in Matera and Rome, Italy, the film is authentic in its presentation of place and the harshness of the time. There are moments of sadness as the family walks along a path lined with crucifixions—a sign of what is to come. There is also a wonderful and commanding authority about this young Messiah that is felt by those who meet him, including a Roman Centurion named Severus (Sean Bean) who is confronted by the godliness this young one carries. This film is certainly worth seeing. Its thought-provoking presentation will hopefully inspire conversation and reflection upon what the family of Jesus may have faced during his childhood years. This film is readily available on DVD to rent or purchase through major retail outlets or by digital download. Rebecca and her husband, have four children and live on the Sunshine Coast, Australia. Rebecca writes for various publications including print, online and commercial. She has recently published her first book titled ‘First to Forty’ which is available on Amazon and Kindle.